Let Us Make A Fair All-Cash Offer on Your El Monte House. Are you saying “I need to sell my home fast in El Monte?” Are you facing some problem situation? If you answered yes, then you’re at the right place. We buy houses in El Monte CA and surrounding Southern California areas and help homeowners find the best solution to their unique problem situation. It’s a very simple 3-step process. See How It Works. Let us do a Free Evaluation of your situation and within 24 hours, you will see what options are available to resolve your situation. If you just want to sell your El Monte home and be done with it … we’re ready to give you a fair all-cash offer. Stop the frustration that this property is causing you. Let us buy your El Monte house now, as-is no matter what the condition. Finally, you no longer have to deal with agents, open houses, inspections, repairs and the uncertainty of when or even if your house will sell. 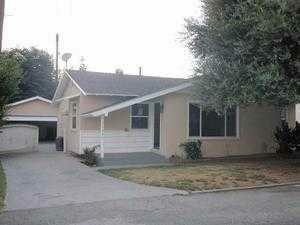 We buy houses in El Monte Ca…like this one on Lambert Ave. Get your fair cash offer today…As-Is! Solution Home Buyers works with many people who need to sell their El Monte house fast. Whether you are facing foreclosure, going through divorce or must relocate to another city, we can help. We work with those who own a home that is sitting vacant…to tired landlords who don’t want to deal with tenants any longer. We help those people who have inherited a house they don’t want to keep, those who lost their job or their income has been reduced to the point where they just can’t afford their house payment any longer. We work with those who don’t have enough equity to pay real estate agent commissions and even those people who owe more than their house is worth and can’t list with an agent. … and they were relieved when they found us. Simply put, if you want to sell your house fast…we buy houses in El Monte CA and would like to make you a fair cash offer and close escrow on the day of your choice. Sell your El Monte Ca home today! Don’t worry if you’ve tried selling your house with an agent but were unsuccessful, we can help. (There are times when using an agent is not your best option). We work differently at Solution Home Buyers. We want to work with you to find the best solution to your unique situation. When you submit the short property information form (below) or give us a call at (818) 392-4845, we’ll do a FREE Evaluation of your situation which will give us all the options that are available to you. If you just want a quick sale, we can give you a fair all-cash offer on your house within 24 hours. The best part is: we can close whenever YOU choose to close – it’s entirely up to you. Unlike selling through an agent, you don’t have to wait to see if the buyer can get financing… we buy houses in El Monte CA and we’re ready to buy yours right now! All that hassle can add stress, months to the process, and in the end after paying the agent’s expensive fees, closing and repair costs, you may actually walk away with less cash in your pocket. El Monte is a residential, industrial, and commercial city in Los Angeles County of Southern California, the United States. The city lies in the San Gabriel Valley east of the city of Los Angeles. El Monte’s slogan is “Welcome to Friendly El Monte” and historically is known as “The End of the Santa Fe Trail.” As of the 2010 census, the city had a total population of 113,475, down from 115,965 at the 2000 census. As of 2010, El Monte was the 51st largest city in California. The area, beside the San Gabriel River, was part of the homeland of the Tongva people for thousands of years. The Spanish Portolá expedition of missionaries and soldiers passed through the area in 1769-1770. The site was within the Spanish land grant Rancho La Puente. Mission San Gabriel Arcángel was the center of colonial activities in the area. Using the Old Spanish Trail route at the end of 1841, a group of travelers and settlers, now referred to as the Workman-Rowland Party, arrived in the Pueblo of Los Angeles and this area in Alta California from Santa Fe de Nuevo México. The Old Spanish Trail from Santa Fe was continued east via the Santa Fe Trail trade route, established in 1821 as a trail and wagon road connecting Kansas City in Missouri Territory to Santa Fe, still within México. From 1847, The Santa Fe Trail was also connected westward through the Southern Emigrant Trail, passing by the El Monte area, to the Pueblo of Los Angeles. Immigrant settlement began in 1849, El Monte was a stopping place for the American immigrants going to the gold fields during the California Gold Rush. The first permanent residents arrived in El Monte around 1849-1850 mostly from Texas, Arkansas and Missouri, during a time when thousands migrated to California in search of gold. The first settlers with families were Nicholas Schmidt, Ira W. Thompson, G. and F. Cuddeback, J. Corbin, and J. Sheldon. These migrants ventured upon the bounty of fruitful, rich land along the San Gabriel River and began to build homesteads there. The farmers were very pleased at the increasing success of El Monte’s agricultural community, and it steadily grew over the years. In the 1850s the settlement was briefly named Lexington by American settlers, but soon returned to being called El Monte or Monte. It was at the crossroad of routes between Los Angeles, San Bernardino, and the natural harbor at San Pedro. In the early days, it had a reputation as a rough town where men often settled disputes with knives and guns in its gambling saloons. Defense against Indian raids and the crimes of bandit gangs, such as that of Juan Flores and Pancho Daniel, led to the formation of a local militia company called the Monte Rangers in February 1854. After the Monte Rangers disbanded, justice for Los Angeles County, in the form of a lynching, was often provided by the local vigilantes called the “El Monte Boys”.<br>In 1858 the adobe Monte Station was established, a stagecoach stop on the Butterfield Overland Mail Section 2 route. By 1861 El Monte had become a sizeable settlement, and during the American Civil War was considered a Confederate stronghold sympathetic to the secession of Southern California from California to support the Confederate States of America. A. J. King an Undersheriff of Los Angeles County (and former member of the earlier “Monte Rangers” or “Monte Boys”) with other influential men in El Monte, formed a secessionist militia company, like the Los Angeles Mounted Rifles, called the Monte Mounted Rifles on March 23, 1861. However the attempt failed when following the battle of Fort Sumter, A. J. King marched through the streets with a portrait of the Confederate General P. G. T. Beauregard and was arrested by a U.S. Marshal. State arms sent from Governor John G. Downey for the unit were held up by Union officers at the port of San Pedro. Union troops established New Camp Carleton near the town in March 1862 to suppress any rebellion, it was shut down three years later at the end of the war. El Monte was incorporated as a municipality in 1912. During the 1930s, the city became a vital site for the New Deal’s federal Subsistence Homestead project, a Resettlement Administration program that helped grant single-family ranch houses to qualifying applicants. It became home to many 1930s white immigrants from the Dust Bowl Migration. Famous photographer Dorothea Lange took many pictures of the houses for her work for the Farm Security Administration. The area also experienced social and labor conflict during this period, as the El Monte Berry Strike of 1933 shed light upon institutional racism experienced by Japanese tenant farmers and Latino farm laborers. The city has evolved into a majority Hispanic community. Representing the historical significance of the Santa Fe Trail, El Monte built the Santa Fe Trail Historical Park in 1989, at Valley Blvd and Santa Anita Ave. The trail remained America’s greatest route for several decades thereafter. The El Monte Historical Museum at 3150 Tyler Avenue is considered to be one of the best community museums in the state of California. By 2008 there had been an influx of Asians into El Monte. Bang Tran, a resident of Monrovia and a former El Monte resident quoted in the Los Angeles Times, stated that year that there was overpopulation in Alhambra, Monterey Park, and other nearby heavily Asian municipalities; this is why Asians began moving to El Monte. 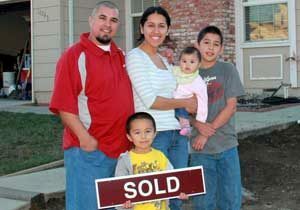 We buy houses in El Monte CA and help property owners find solutions for all kinds of situations. We help owners find solutions to all kinds of situations like divorce, foreclosure, death of a loved one, problem tenants, loss of job, moving or job relocation and many others. We will do a Free Evaluation of your situation to see what options are available to resolve your situation. If it’s a quick sale that you’re looking for, we buy houses in El Monte CA and surrounding areas and pay a fair cash price, fast. We don’t want to list your house like a realtor, we will buy it directly. Selling your home through a realtor can be a very long, time-consuming, stressful process and include many costs (see article).